Beautiful Home with Views and Large Metal Shop! 326 Apollo Circle is located in the desirable Starlite area in Bishop California. This friendly neighborhood is just outside Bishop, and you will often see your neighbors out walking with their families and pets. This beautiful home is located at the end of a cul de sac offering 3 bedrooms and 2.75 baths. Large open family room and living room, formal dining area and expansive entertainment room with large picture windows and open beam ceiling. The entertainment room offers two bar sitting areas and a large built in hot tub. This home has amazing views of the Sierra Nevada Mountain Range. The low maintenance yards have automatic sprinklers in both the front and back areas, and beautiful fruit trees located in the side yard. The home has a two car attached garage and a large metal shop for additional indoor parking or working areas. The property backs up to open USFS forest and the gorgeous Buttermilk. 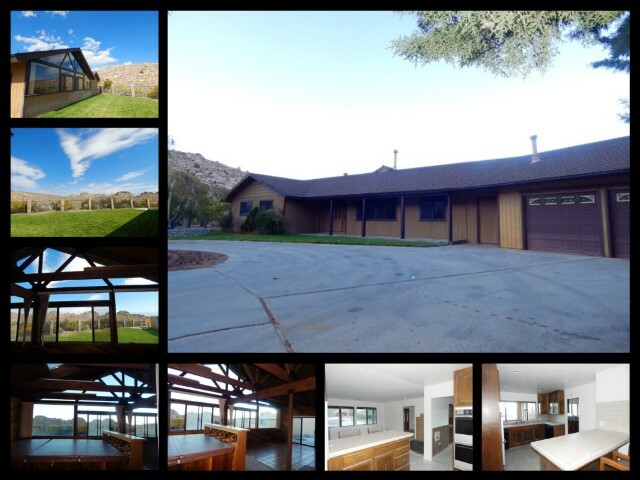 326 Apollo Circle Starlight Estates is another spectacular area of Bishop California to live in. Some miles down highway 168 you will find this neighborhood. One of the nicest parts of being out here is that you are away from the distractions of town. Living out in the Starlight Estates you have the great outdoors right at your doorstep hiking, camping, fishing, biking, driving recreational vehicles, hunting and so much more. Town is only a short drive down Highway 168 where you can get all your shopping done and dining in. If there is anything that you might have forgotten at the store your in luck Manor Market is close to by. Home to some of the greatest rock climbing in the spring time is the Buttermilks. This area offers great views of Mt Tom and the Eastern Sierras. A Stargazers dream!